The economics of money also draws us into understanding the evolution of monetary instruments through history and their impact on the economy. These instruments cannot be separated from the institutions that develop and are developed by them. 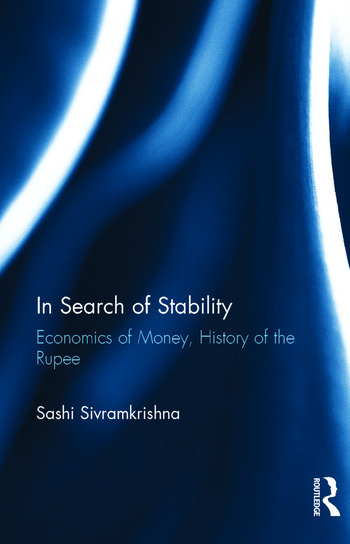 A digression into a study of the origins, nature and development of some of the most important monetary institutions in India has therefore been included in this study. While standards of living have risen enormously, money has struggled to maintain its value across place and time, without definitive success. This has brought with it crises and severe hardship to entire societies; a lesson which the history of the Indian rupee unequivocally reveals. Sashi Sivramkrishna did his M.A. in Economics from the University of Bombay, Mumbai, and went on to complete his Ph.D. from Cornell University, USA. His areas of research include economic and environmental history. He is also an ardent documentary filmmaker. He is currently Professor of Economics at School of Business Management, Narsee Monjee Institute for Management Studies in Bangalore.